Prized for their mineral-sweetness, firm texture and delicate flavor, sockeye salmon have long been treasured in Europe and Japan and are quickly gaining the taste of the American palate. contactBorn in the pristine waters of the Bristol Bay watershed, these salmon spend 6 months to 3 years in their natal freshwater streams before beginning their journey into the open ocean. For up to the next five years, they move through the open ocean feeding on krill and small squid before making their way back to their natal streams in one of the world’s greatest and most mysterious migrations. It’s still a mystery how exactly the salmon can navigate hundreds and even thousands of miles back to their precise streams. Sense of smell has something to do with it. Where the rivers enter the bays, the salmon stop feeding and start pushing up river to their spawning grounds -sometimes a thousand miles inland. It is here that they will spawn and then die – their own bodies entering the food web as their young are coming to exist. When one looks at the carbon and nitrogen cycles hundreds of miles inland, they will find that 50% of it has marine origins. 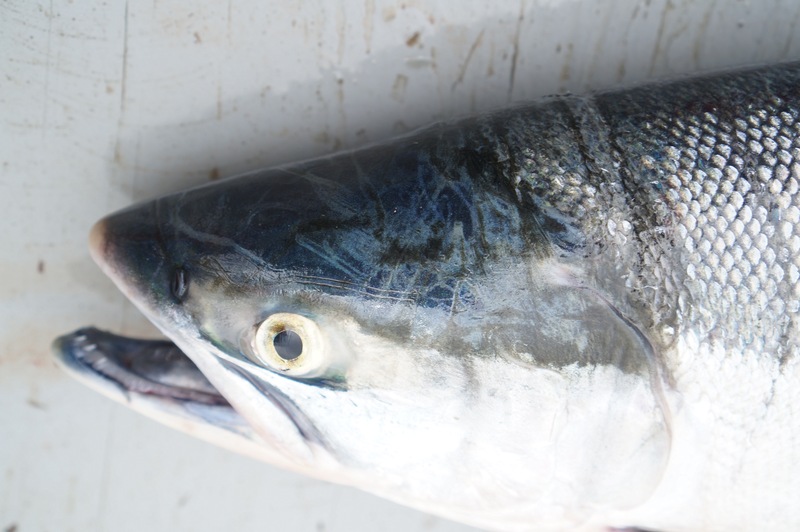 In a sense, salmon can be thought of fisherman – harvesting the bounty of the and moving it great distances inland. Read More by Clickety Clicking @ <- that link.